What Options Do You Have For Motion Sensors? What Can A Glassbreak Detector Do For Your Home Alarm? Protect Your Home When Away By Adding A Fire Detection Device! ADT Monitored Alarm VS Bay Alarm – Which Is The Right Choice For Your Home Security? What Do All Of The Home Security System Terms Mean? What Are The Pros And Cons For The Hardwired Home Alarm System? Can You Really Install Hardwired Security Systems Yourself? Wired vs. Wireless Home Security Systems – Which Is The Best Type For You? How Can A Bay Alarm Alarm Help Protect Your Family? 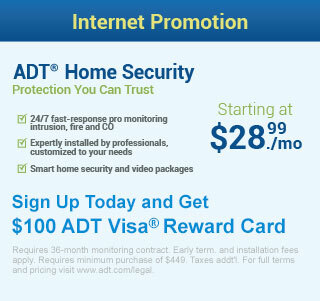 Do I Need Landline Phone For an ADT Monitored Security System? DSC Security Equipment – Is The Answer You’re Looking For? Why Is Comparing Home Security Alarms So Essential? Can Security Signs Really Help Deter Burglars? Can Smoke Detectors Really Help Save Your Family’s Lives? Wired Or Wireless Home Alarm: Which Is Right For You?